This entry was posted on July 29, 2014 by AdaPia d'Errico. There is still ongoing debate on the risk/reward ratio for being equity investors versus being debt investors. When it comes to real estate investment, especially in this booming market, equity may seem more appealing at first glance. However, it actually pays off to be a high-yield debt investor. Let’s take a look at why we focus on debt-based offerings at Patch of Land. Due to the cyclical nature of real estate markets, Patch of Land prefers a conservative approach when it comes to real estate investing. Equity investing certainly has a higher earning potential than debt investing. In fact, there is theoretically unlimited earning potential in equity investments- but this means much, much higher risk as well. Equity investors can make a lot of money if market prices are going up but, correspondingly, they can lose a lot of money when prices are going down. When real estate prices drop, the value of the project could be worth as much as the outstanding debt- which could mean the investor can potentially lose all equity. This perpetual game of high leveraging ‘heads-or-tails’ leaves equity investors in quite a vulnerable position since equity positions lose value first. Debt investors, on the other hand, are in a much more secure place, having the priority of getting re-paid first. 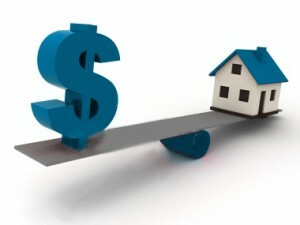 Debt also has more collateral value to re-coup investments if something happens to the real estate property. It is a much safer investment approach. A common misconception is that investors must choose to either be risky and have high rewards (i.e. equity investing), or conservative and receive low rewards (i.e. debt investing). High-yield debt investing takes the best of both worlds- it is comparable to equity investing with similar investment returns in addition to the security of having senior position on the collateral. Our debt-based loans at Patch of Land provide these benefits, generating 10-15% risk-adjusted annual returns. With us, there is no need to pick which side is best when investors can benefit from this comprehensive investing approach. Now that you understand the difference between debt and equity investments, take a look at our investments page and see what our deals look like live! This entry was posted in Building Wealth, Q&A From the Patch and tagged real estate investing, equity, debt, debt vs equity, real estate crowdfunding, real estate, patchofland on July 29, 2014 by AdaPia d'Errico.